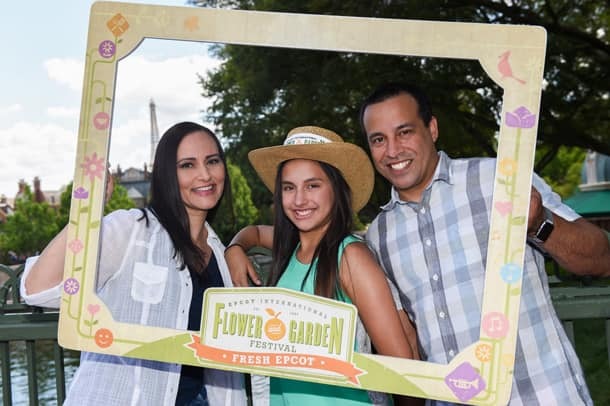 Smiles are in bloom at the Epcot International Flower & Garden Festival. Whether you’re a gardening guru or a budding novice, there’s something for everyone to enjoy during this springtime event – which just happens to be blooming with photo opportunities. 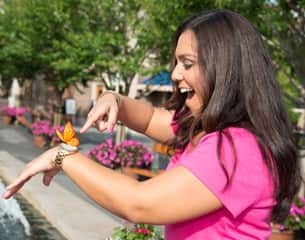 This year, Disney PhotoPass Service has photographers stationed at some of the visually stunning photo locations around the festival. And the best part is with Memory Maker, you’ll get digital downloads of all your Disney PhotoPass vacation photos for one price. Below are a few must-see settings for festival photos this year. It’s hard to fit so many beautiful festival topiaries into a selfie. PhotoPass photographers are stationed at a number of topiary locations, including those below. 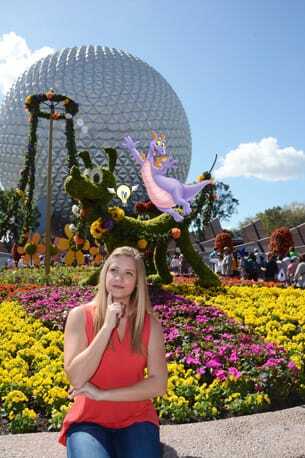 Figment is the perfect mascot for this vibrant season. 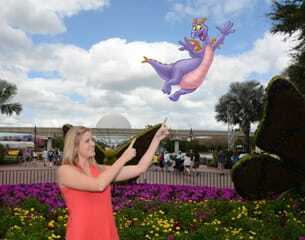 A PhotoPass photographer can help you include the playful dragon in your photos. 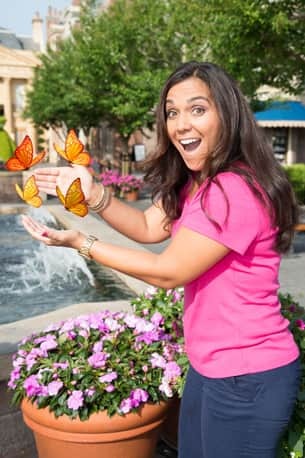 You can also take your photos through a magical metamorphosis with a butterfly Magic Shot – just ask a photographer to set up the picture. One of the best characteristics of spring are so many brilliant, lively colors, so why not sprout a few more hues into your photo with a festival frame? Of course, PhotoPass photographers can also be found throughout the park, as well as at character greeting locations. Photos taken at participating attractions are also included with Memory Maker, so be sure to smile (or scream!) 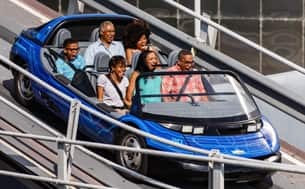 when riding Test Track and Frozen Ever After*. 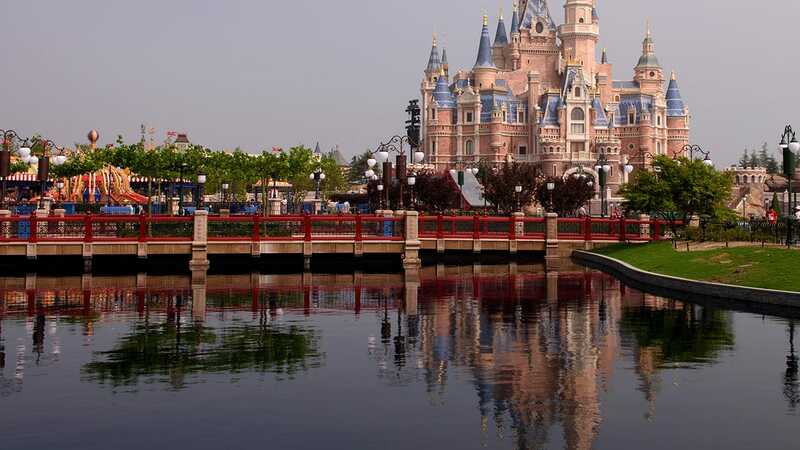 Only feeling camera-ready for one day of your Walt Disney World Resort vacation? You can purchase Memory Maker One Day in the My Disney Experience mobile app during or after your visit. Memory Maker is subject to the Memory Maker Terms and Conditions. Memory Maker includes photos taken during the Memory Maker window. A MagicBand is required to receive certain attraction photos and other digital content. 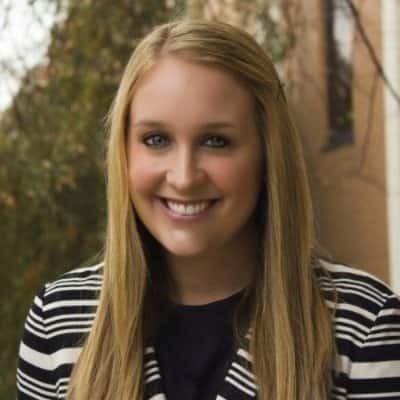 If Memory Maker purchased at the advance purchase price, any photos taken within 3 days from the date Memory Maker is purchased will not be included and must be purchased separately. Online registration required. 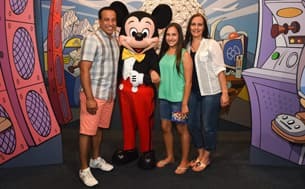 Disney PhotoPass Photos in your account will expire pursuant to the expiration policy at Walt Disney World. Downloads are restricted to personal use only. Not responsible for missing, lost or damaged photos. Subject to restrictions and change without notice. Valid theme park admission required for certain photo locations. *An active MagicBand is required to collect attraction photos at Frozen Ever After.